Toni Pons brings us 1003/30 TER. 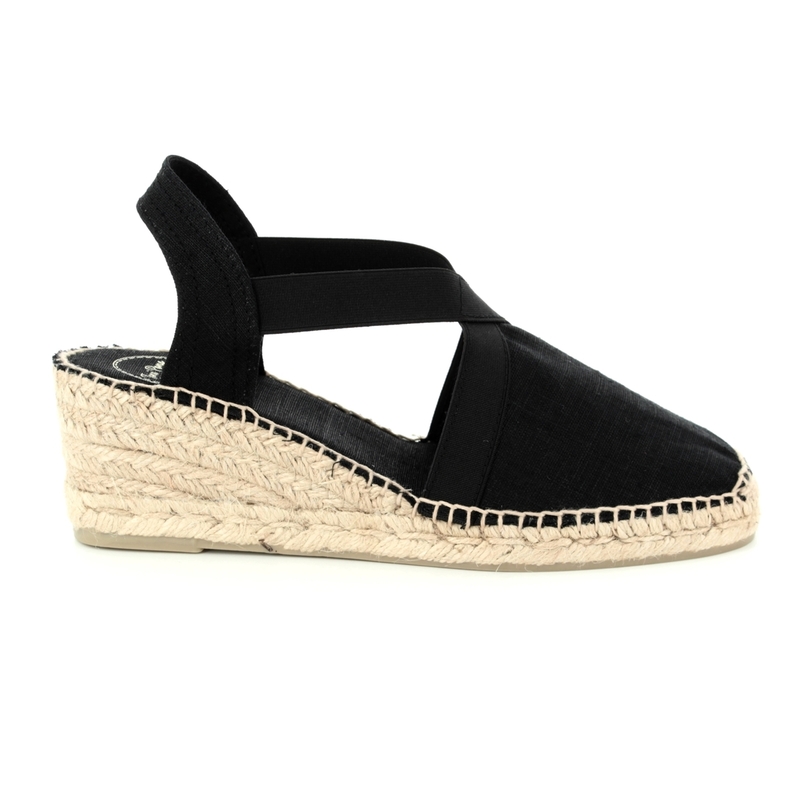 This black wedge heel espadrille is perfect for creating a chic summer look that can you from lunchtime barbeque to evening drinks with friends. 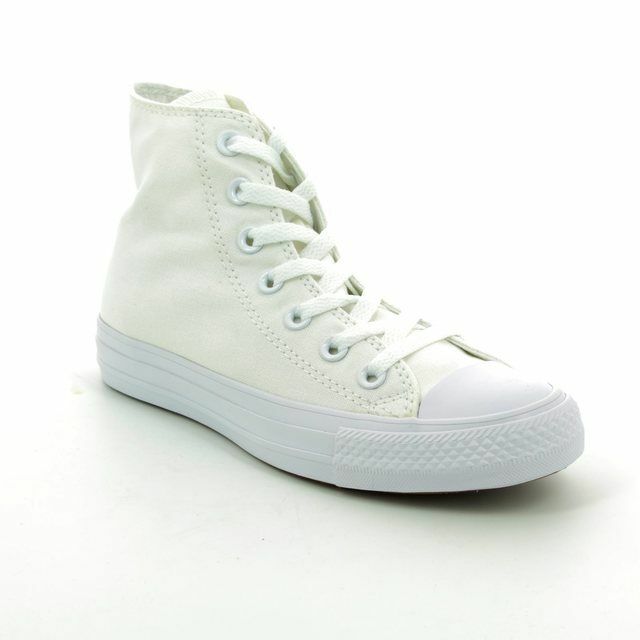 The upper is made from linen and the soft, padded inner sole is lined with a textile. 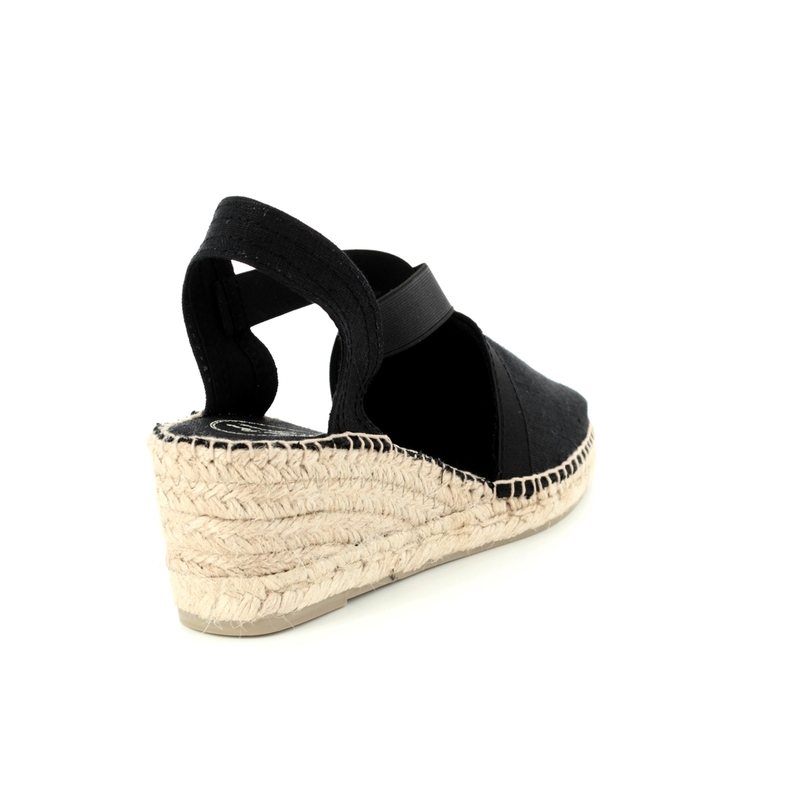 The wedge is made from braided jute with a natural rubber sole. The front platform measures 2cm and the heel height measures 6cm. The upper is hand stitched to the sole with additional stitching to reinforce the toe for added strength. This slip on espadrille has elastic straps that cross over the front of the foot for a secure fit while wearing. 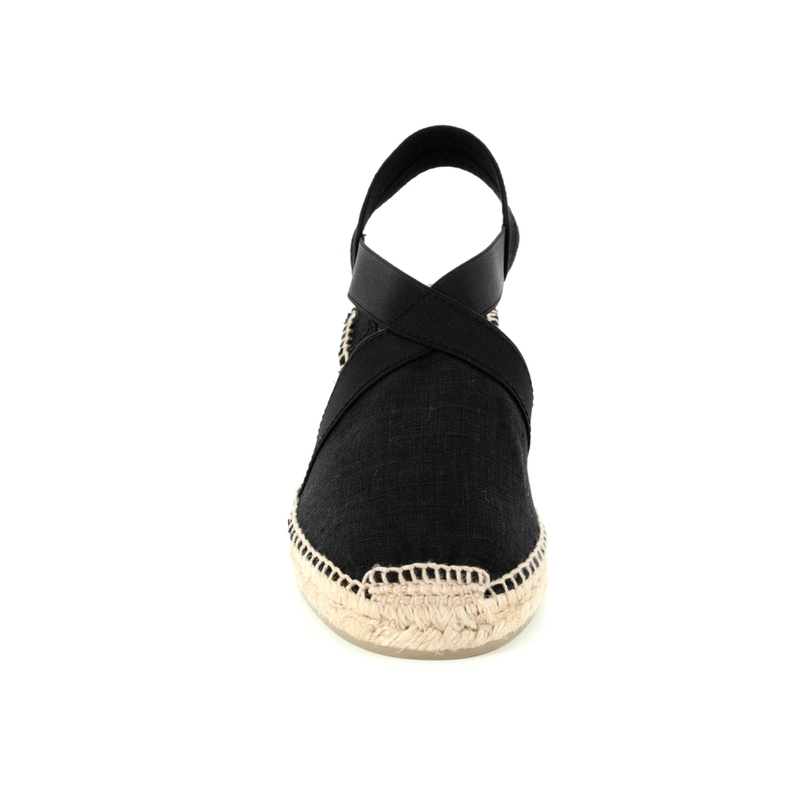 Buy your Toni Pons women's espadrilles from Begg Shoes, an official Toni Pons stockist.